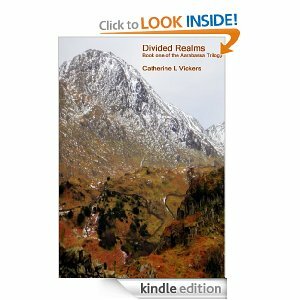 The destiny of four young people living their ordinary lives, changes almost overnight. The youngest, Prince Raphael, thought to die young through illness, is kidnapped by the evil Emperor of the Dark Side of Aarabassa. His ransom is Heather, the Changeling and key to enabling his vamplin army to enter the Light Lands once he has used the Fire Giant to destroy the Magic Wall. Prince Leon and Prince Amos must travel the realms to unite the People of the Light Lands in readiness for a battle to stop the evil monshaad Emperor from destroying the Magic Wall. Dragons, Dwarves, Centaurs and many a creature will fight for the continuation of their races. (Scotland 1388: Fergus Scott of Eildon is sent northward to investigate reports of a new power rising in the Highlands. Enticed into the power of the ferocious Alistair Mor, Wolf of Bedonoch, the lovely but quick tempered Seonaid aids him in his battle against enchantment and death. 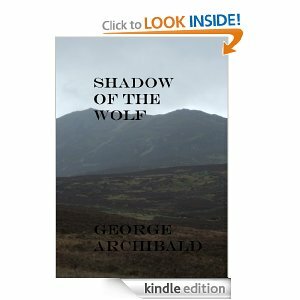 As witches gather to recreate the terrifying Book of Black Earth, and the army of Donald of the Isles marches to confront Alistair, Fergus must try and save his soul and his country. The assassination of heroes was once a warning—for an invasion that nearly destroyed the world. On the brink of total victory, the black horde mysteriously vanished, leaving terrified survivors . . . and rumors. As the centuries passed, the holocaust faded into legend, and finally myth. But death is stalking heroes once more, and only a miracle will allow life to survive again . . . a miracle named Elseerian. Carrie is a beautiful American teenager at school in London. While touring Cornwall she has a fateful meeting with John, an ageing British artist. His sketch of Carrie is magical and moving for both and an instant bond forms. Back in London, she decides she must see John again. She returns to Cornwall staying at John’s cliff-top house where their friendship strengthens further. Before too long Carrie’s designs on John ensure that matters reach a crucial tipping point where neither knows where it might end. The Artist’s Girl is uniquely told by means of a dual dialogue between the two main characters. Cali and Nix keep a slippery grip on reality as they elude a maniacal federal agent dedicated to saving humanity from what he calls ‘The Biomite Plague’.